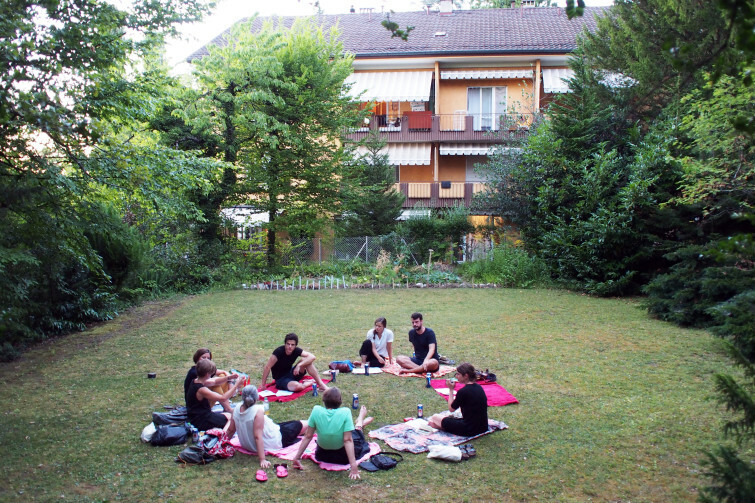 During this summer Theory Tuesdays session, David Iselin presented the essay “Declaration Of Dependence” by Laura McLean-Ferris in the garden at Villa Rigi in Zürich. “Declaration of Dependence” is an essay by Laura McLean-Ferris, taken from the new magazine “Even”, about the art market and its dependencies. McLean-Ferris first introduces a few current artists (Anne Imhof, Alisa Baremboym among others) from the post-internet generation (a term to be discussed) and how they try to find a language to define the current area. As painters had to learn the language of painting, artists today have to learn the language of code, of virtuality and so on. McLean-Ferris continues with a critic of the art market as a social network which only works on affirmation. Criticism has no place anymore, independency is not a value per se. Everybody is part of the ice bucket challenge so to say. Everybody tries to be friends with everybody.